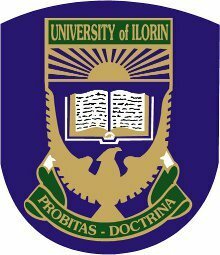 Applications are invited from suitably qualified candidates for admission into the under listed professional Postgraduate Programmes of the Ilorin Business School, University of Ilorin. Candidates for admission into the MBA Programme shall normally possess Bachelor’s degree from a recognized University, with a minimum of Second Class Honours (Lower Division). Holders of professional qualifications such as ACA, ACMA AIB ACIS, CIBN, ACTS or HND (Upper Credit) must possess a postgraduate Diploma Certificate in Strategic Management from the University of Ilorin with a Minimum average weighted score of 60%. All candidates should have at least Five (5) Credit Passes at the Ordinary Level (O/L), Including English Language and Mathematics irrespective of field of study. Candidates for admission into the GIS postgraduate diploma Programme shall normally possess a recognized Bachelor’s Degree with at least a Third Class Honours or HND or their equivalent, in Geography, Environmental Science, the Sciences, other Social Science, Forestry, Engineering, Architecture, Town Planning etc. Notwithstanding the above, candidate with substantial work experience who have attained managerial positions may still be considered for admission on individual merit. Application fees for all programmes is N25,000.00 only. NOTE: All applicants for the Postgraduate Diploma and Masters Degree Programmes will be subjected to a written assessment (qualifying examination) irrespective of the class of degree obtained. The qualifying examination will be held at the Ilorin Business School, (beside Student Union Building) University of Ilorin on Saturday 23rd of September at 9:30am. There will be no formal letters of invitation to candidates for the Qualifying Examination as this advertisement will serve as the invitation. University of Abuja (UNIABUJA) Sandwich Admission form Details. Steps to Obtaining the form.